With all of the hype surrounding the imminent promotion of Jake Allen to the big team and Elliott situation resolved, it’s useful to remember who’s currently waiting in the wings for their shot. Penciled in behind Allen in the Blues’ depth chart is the Kalamazoo Wings’ Jordan Binnington. His marked improvement from step to step within his career might be turning on lightbulbs with Blues management in terms of what they can spend where, should their current tandem prove unreliable. Over the course of playing for four professional teams, Binnington has displayed consistent progression. 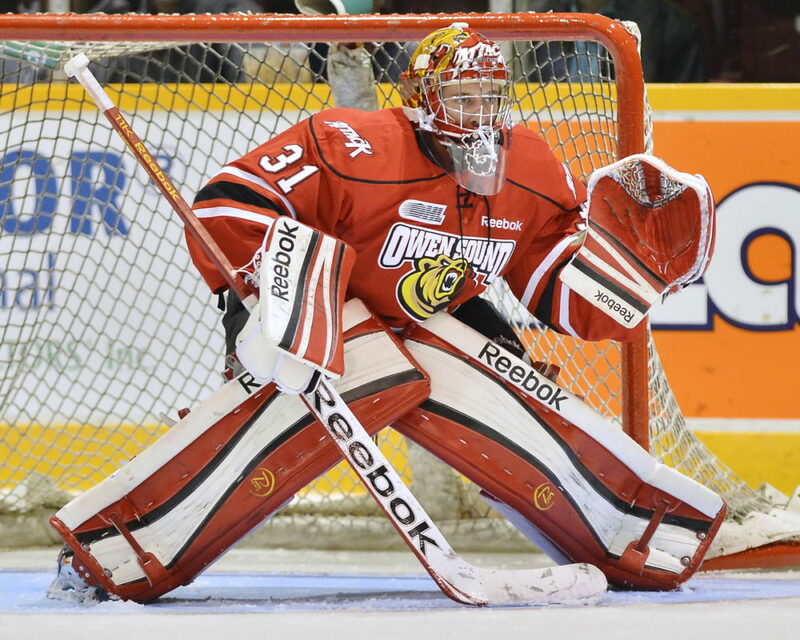 His strong showing in 2012-2013 (32-12-6, 7 SO, 2.17 GAA, .932 Sa%) while playing for the OHL’s Owen Sound Attack earned him his promotion into the AHL, where he currently enjoys slightly more starts but had a considerably higher save percentage — probably the best overall method in evaluating a goaltender’s performance — than his counterpart, Joel Martin. Although Binnington only had one shutout during the 2013-2014 campaign, his solid .922 save percentage showed that his 23 wins had much to do with his efforts. Although he effectively split starts with Martin and the numbers were similar using other metrics, those numbers don’t lie and show that promotion is not a problem for Binnington. With management now done wrestling over whether Ryan Miller is really a $6 million dollar-plus goalie — and with the taste of the 2014 playoff debacle fresh in their mouths — the idea that Binnington could at least provide average competent NHL-level goaltending must be something they’re considering should Allen turn into a bust and Elliott revert to Colorado Avalanche form. So where does that leave Binnington in the Blues’ current plans? With the Ryan Miller drama done in St. Louis and the annointing of Brian Elliott as the 1A, Binnington remains at minimum a strong call-up option should injury or poor play befall one of the Elliott/Allen tandem. 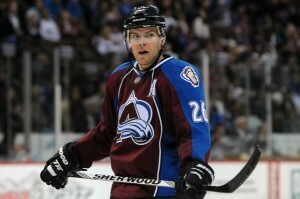 As projected now, he is not in a position to challenge for an NHL spot in the 2014-2015 camp. Fans should expect Binnington to continue to hold the fort at the AHL level while biding his time. However, this could all change dramatically should Armstrong and owner Tom Stillman decide to bust open the piggy bank for goal scoring. The Blues are a mid-market team that makes the most of a relatively modest budget. However, the team has shown a frustrating inability to match their regular-season scoring prowess with what they produce in the post-season, a phenomenon that inevitably places more scrutiny on whomever is in goal at the time. Ryan Miller’s departure and the prudent signing of Elliott to a three-year, $7.5 million contract solves much of the controversy about the direction of the team. However, Allen remains somewhat green and Elliot has been known to have stretches of sub-par play. Binnington allows the Blues to not have to dip into free agency, potentially overspending in a panic move to get another veteran in place. As the team tunes up for another presumed playoff run, having the dollars needed to polish their overall lineup without having to dump a bunch into an Ilya Bryzgalov type is a boon. The Blues had another tough playoff in 2014. They have had regular-season success with what many consider to be average goaltenders, while suffering ignominious defeat when putting a recognized All-Star in goal in the playoffs. By committing to Elliott and promoting Allen, the Blues can place their eggs in the offense basket while making an informed gamble in net. Should that gamble not pan out Jordan Binnington — should the Blues feels he’s ready enough as they did with Allen in 2013 –might be a path to his personal career development while allowing the team more spending flexibility.